Chef Kurt and yogi Giancarlo welcome you with open hearts and fine dining. How often does a Saturday night approach and you think to yourself, “I need to go somewhere for my sanity.” The regular options of a mediocre dinner and a horrid movie don’t cut it anymore, and you want some more, something with substance. Enter the Tree of Life Center’s dinner parties. The brainchild of yoga teacher Giancarlo Solimano and chef Kurt Schmidt, the new center combines the worlds of yoga and healthy eating into one palate-pleasing package. 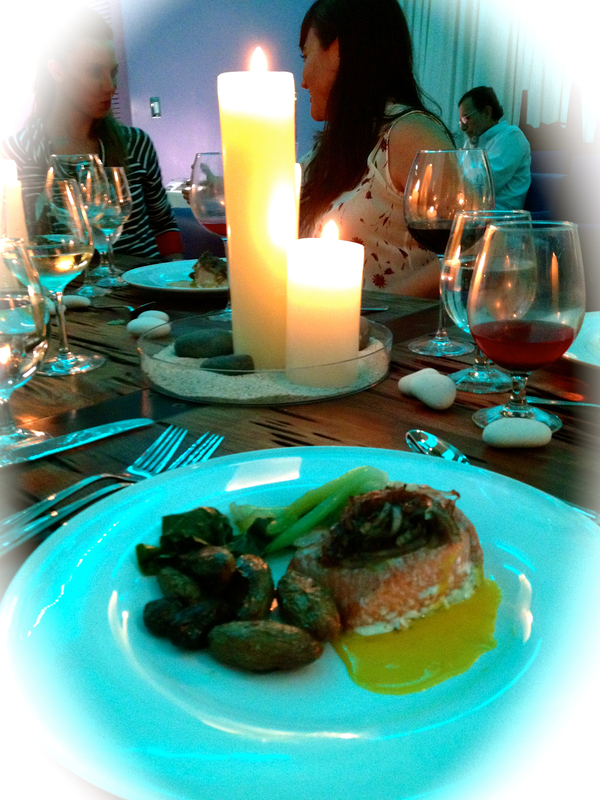 Along with the yoga studio, the twice monthly dinner parties launched in October. The homey atmosphere stems from sharing dinner in a quiet yoga studio with a small assembly of about 10 people–a very different experience than a typical restaurant. In addition to personal attention from Kurt and Giancarlo, local herbalist Victor Rivera shared his insights into health and displayed natural therapies from around the world. 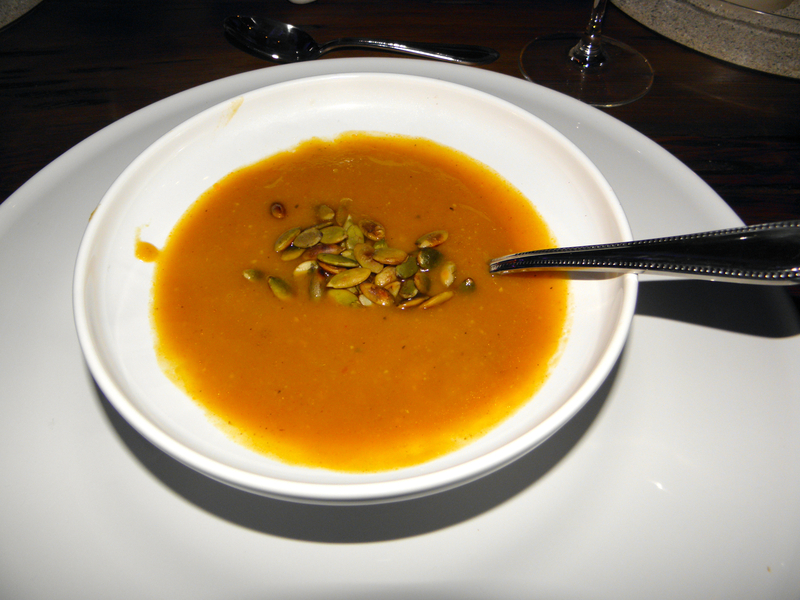 Savory squash soup with coconut and a topping of pumpkin seeds. The dining concept combines friendship, food, and healthy living. he explained how inflammation is becoming widely recognized in medical research as the root cause of major diseases such as cancer and diabetes. By consuming anti-inflammatory foods, you reduce your risk for these diseases. The leisurely event lasted from 7 pm to 10:30 pm. Reservations are required. The Tree of Life Center is located in the lofts at 8101 Biscayne Boulevard. For details, call 503-705-6095.